Do You Know Four Different Kinds of Pork Chop? Pork chop is equivalent to a beef steak and is an expensive portion of the animal. All kinds of pork chops are extracted from the animal’s loin area that extends from its hip to shoulders. The commonly seen chops in butcher shops are extracted from the animal’s loin and ribs. Other chop varieties include sirloin and shoulder chops. However, do you know how much calories are there in baked pork chop? Do read on. Are you aware of the calories count in a baked pork chop? If not, then the following table will give you information on calories and nutritional content in 1oz. baked pork chop and other chop varieties. 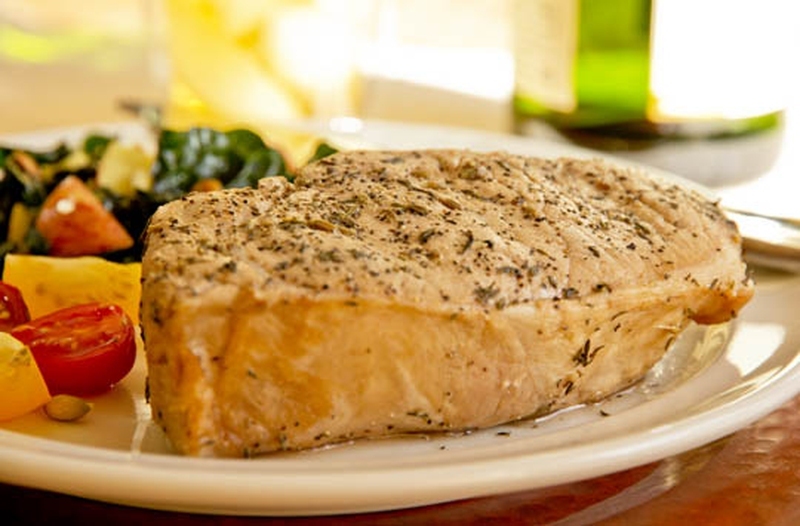 There are four diverse kinds of pork chops and the calories in baked pork chop of each four kinds can vary a little. Have a look at the different kinds of pork chops. It is also known as shoulder chop, pork loin, pork shoulder steak, pork steak and blade steak. It comes from the animal’s shoulder region and it is a dark colored meat containing a lot of fat, connective tissue and some quantities of blade bones. It is also known as sirloin steak. It is a cheap cut that comes from the hip region of the animal’s back loin. It contains backbone and hip and has a higher quantity of bone compared to that found in other chop varieties. Its meat comprises of different muscle groups. It has a good pork flavor. It is also known as rib end-cut, rib pork chop and center-cut rib chop. It comes from the animal’s rib in the loin that runs from shoulder to the loin’s middle. It is a large portion of the lean loin region and doesn’t contain any tenderloin meat. A bone runs along on a side and at times, there’s a fat layer on its outside. More connective tissue and fat is found on rib chops cut off from the end of the blade. These chops are quite soft, have mild flavor and more fat compared to loin chops. Also known as porterhouse and top-loin chop, a loin chop comes from the loin and hip portion from the animal's back. It may or may not have tenderloin pieces. It contains T shaped bone with one side containing tenderloin and the other loin. It is lean and has moderate pork flavor. Here is a nice recipe for you that has low calories in baked pork chop. Here are ingredients you will need. Mix first three ingredients together and sprinkle over pork chops. Heat nonstick skillet on medium to high heat and coat it using cooking spray. Add in pork chops and cook for 4-5 minutes on both sides or till it is done. Mix the other ingredients and serve them with chops.